The Cooloola Coast economy and local motorists are set to benefit from a $5 million commitment to reconstruct the Coondoo Creek Bridge, which is being funded under Round 6 of the Liberal and Nationals’ Government’s Heavy Vehicle Safety and Productivity Program, Llew O’Brien, Federal Member for Wide Bay announced today. Mr O’Brien also announced $372,500 to widen and strengthen a 350 metre section of Wadell Road, and upgrade the intersection of Wadell Road and the Bruce Highway at Gympie. 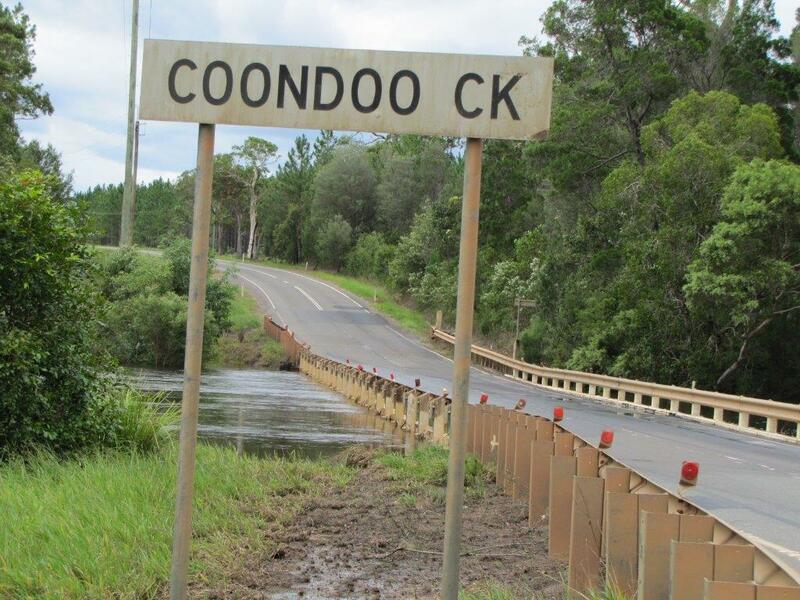 “I am really pleased that the Coalition Government is committing $5 million towards the reconstruction of this desperately needed Coondoo Creek Bridge,” Mr O’Brien said. “Let’s make no mistake this is a State bridge on a State controlled road, it’s a State responsibility, but the Federal Coalition Government is enabling this bridge to be replaced that should have been done by the State Government a decade ago. “As locals, we know how vitally important it is to replace this bridge and the benefits it will bring to people travelling between the Cooloola Coast and Gympie. People in Tin Can Bay, Cooloola Cove, Rainbow Beach and Gympie will all benefit from this investment. “The new bridge will be safer, its capacity will be greater, and it will be less prone to flooding,” Mr O’Brien said. “We’ve seen tragedy in the near vicinity of this bridge, we have seen the coastal economies seriously affected by flood and being constrained by the incapacity of this vital piece of infrastructure. “The new bridge will replace the existing seven metre wide timber bridge with a nine metre wide concrete bridge that will support use by heavy vehicles. The Coondoo Bridge replacement is a $14,821,000 project and is being managed by the Queensland Department of Transport and Main Roads. The Wadell Road upgrade is a $745,000 project and is being managed by the Gympie Regional Council.